Israeli Prime Minister Bibi Netanyahu’s attempts to remake his governing coalition has set heads spinning – dumping his well-regarded defense minister to possibly bring aboard a polarizing maverick with few friends in Washington. Definitely out: Defense minister Moshe Yaalon, who resigned his post on Friday. On the way to the door, Yaalon blasted Netanyahu, saying he has lost confidence in the prime minister’s decision-making and morals. Maybe in: Avigdor Lieberman. He’s a former foreign minister and current leader of an ultranationalist political party built around the 1 million Russian-speaking immigrants to Israel. He has pressed for Arab citizens of Israel to move to the West Bank and wants to implement the death penalty for terrorists. He also wants to increase pension payments for the Russian newcomers. Israeli pundits previously called the current Netanyahu government the most right-wing in history, but this new coalition, if formed, will take the title. Netanyahu’s closed door negotiations are ongoing and the deal has not been struck. There also is not a lot of wiggle room. Netanyahu’s coalition holds a one-seat majority in parliament. 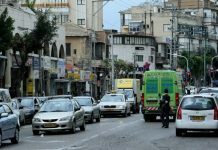 Yaalon appeared to be referring to widespread support by Israeli leaders for a combat medic who shot to death a prone and wounded Palestinian attacker in the streets of Hebron in the occupied West Bank. Just a few days ago, it looked as if Netanyahu was about to strike a deal with the leader of the opposition in parliament, Isaac Herzog, who steers the center-left Labor party. The speculation was that Herzog would take the post of foreign minister and seek to resurrect peace talks with the Palestinians, with the support of Arab allies such as Egyptian president Abdel Fattah al-Sissi. Yaalon’s departure comes as the Obama administration and Israel are locked in difficult talks over the future of U.S. military aid to its front-line Middle East ally. 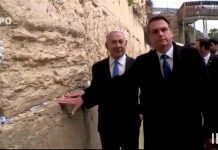 Israel is nearing the end of a 10-year, $30 billion package – the most generous in history and more than double what any other nation gets – and Netanyahu wants the number to climb to $40 billion or more in the next decade. Netanyahu has warned that if he doesn’t get what he seeks from the Obama White House, he is prepared to wait for the next administration. With Yaalon’s abrupt and angry departure, the future of the deal is more unclear than ever. Yaalon is deeply steeped in Israel’s defense culture. He is a retired general, a former chief of staff of the army and past commander of commando units. Lieberman, an immigrant from Moldova, served as a corporal in an artillery unit. Still, Israel has had other defense ministers without much military experience. Yaalon, too, tangled with U.S. officials in the past, famously deriding Secretary of State John Kerry as “obsessive” and “messianic” in his pursuit of a peace deal between Israel and the Palestinians, an effort that collapsed in the spring of 2014. Yaloon has been a steady leader of Israel’s defense establishment, enjoying cordial, frank, productive relationship with U.S. military brass, the White House security team and Defense Secretary Ashton B. Carter, according to appraisals by American diplomats. Lieberman is another story. During his tenure as foreign minister, he was essentially persona non grata at the State Department. If Israel and the United States had anything to talk about, Netanyahu picked up the phone and spoke with Hillary Clinton. In his first official trip to Washington in 2009, Clinton and Lieberman clashed over the continued construction of Jewish settlements in the West Bank. Lieberman lives on a settlement. 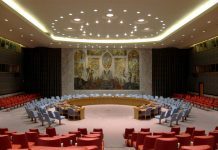 During Obama’s two attempts to make peace between Israel and the Palestinians, even as he served as foreign minister, Lieberman had no seat at the table. Lieberman has his supporters. An Israeli official watching the negotiations to form a new coalition told The Washington Post, speaking on condition of anonymity to describe inside dealings, that a populist tough guy like Lieberman is just the man to help broker a real peace with the Palestinians. 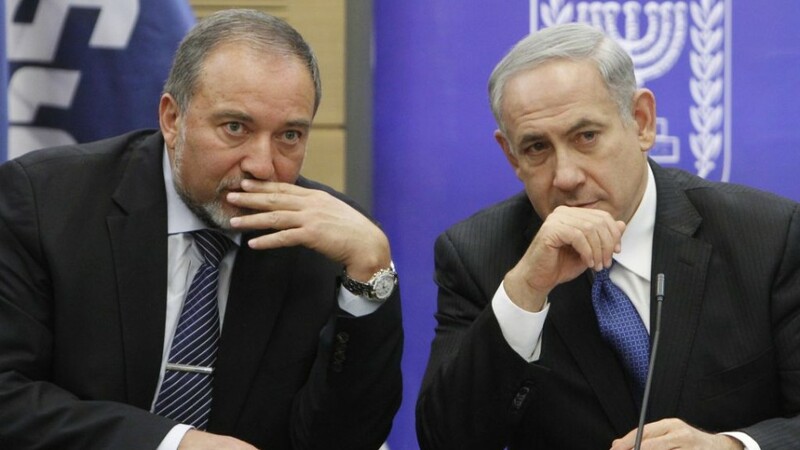 While it is uncertain whether Lieberman and his party members will enter the Netanyahu government, one move appears certain. With Yaalon’s departure, the next in line on the Likud list to join the parliament is Yehuda Glick, a prominent activist who wants Jewish worshippers to be allowed to pray on the raised esplanade that Jews call the Temple Mount. The same real estate is called the Noble Sanctuary by Muslims and holds Al Aqsa mosque and the Dome of the Rock. Glick narrowly survived an assassination attempt two years ago by a Palestinian gunman. Recently, Glick told Israeli reporters that if enters the parliament he will do his best to change the status quo on the Temple Mount — a position opposed by Netanyahu. Incitement among Palestinians asserting that the Israelis wanted to let Jews pray at the Temple Mount was one of the sparks that began the most recent six-months of stabbing, gun and vehicular attacks by Palestinians against Israeli soldiers and civilians. This just goes to show how patient President Obama is with Israel, like a loving parent to a spoiled child.